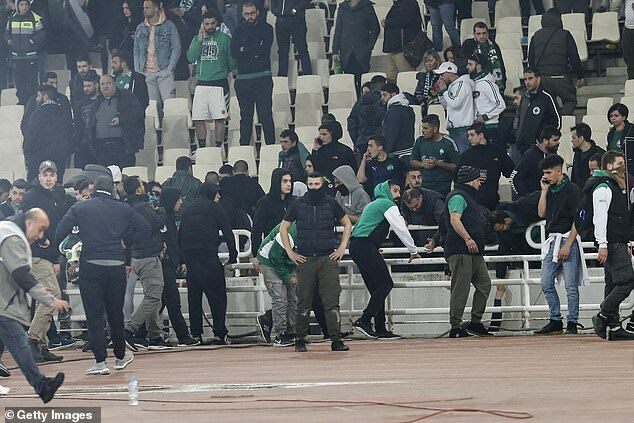 Panathinaikos’ match at home to Olympiacos was abandoned on Sunday after their fans attacked players on the visiting team’s bench during the Greek Super League match and clashed with police outside the OAKA Stadium. 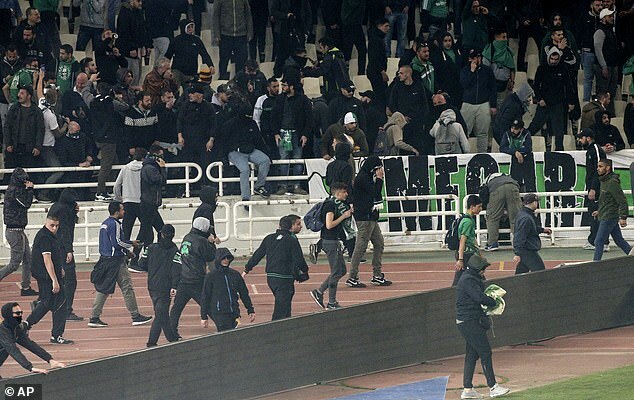 About four minutes after the Athens derby kicked off, Panathinaikos fans invaded the area surrounding the pitch and attacked Olympiacos players on the team’s bench. The match was stopped for about eight minutes before resuming. 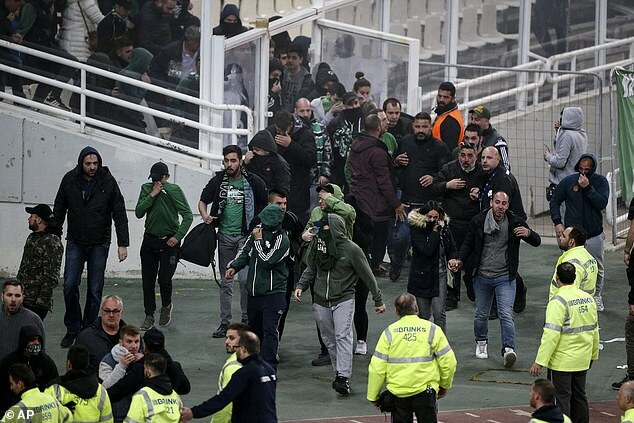 Violence erupted again outside the stadium after Olympiacos scored the only goal of the match through Miguel Angel Guerrero in the 53rd minute. 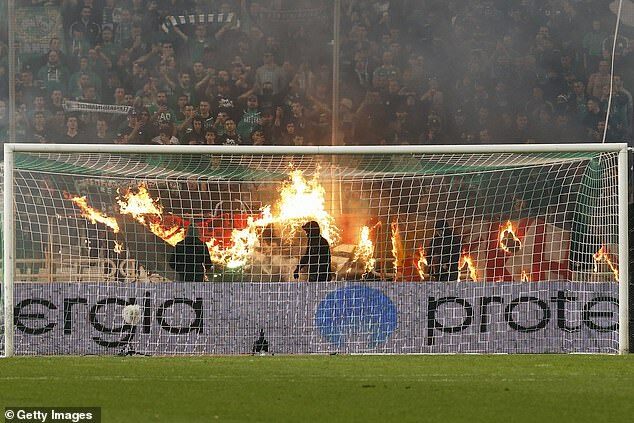 Police used tear gas to disperse Panathinaikos fans, TV images showed. 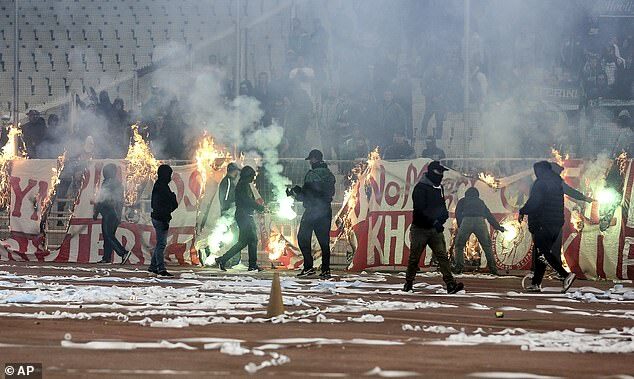 Tear gas wafted on to the pitch, affecting players and fans. 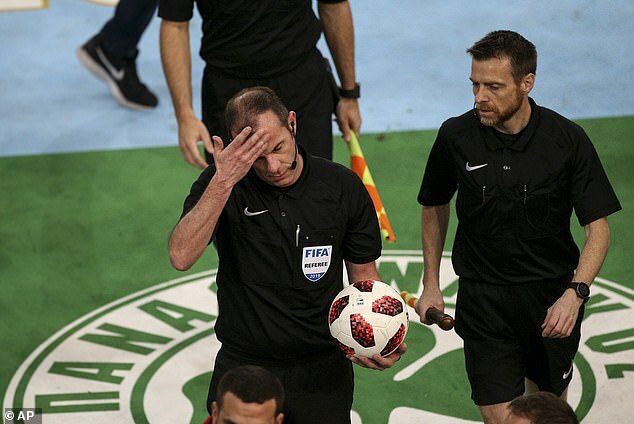 German referee Marco Fritz abandoned the match in the 70th minute. 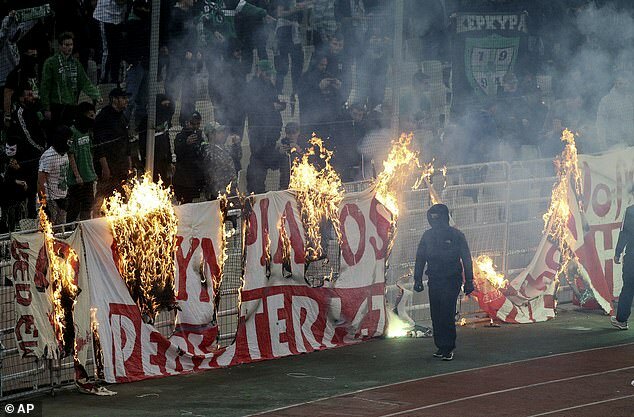 Olympiacos were awarded the victory, while Panathinaikos face a possible points deduction and a fine. 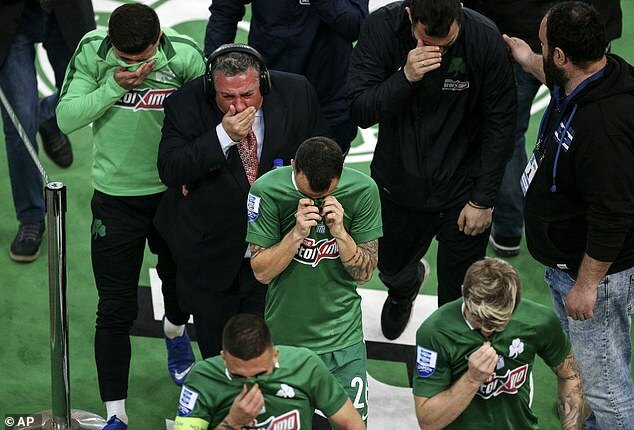 With the three points from Sunday’s game, second-placed Olympiacos have 60 points, seven adrift of league leaders PAOK, while Panathinaikos are seventh on 32 points.